Thank you for visiting my blog. 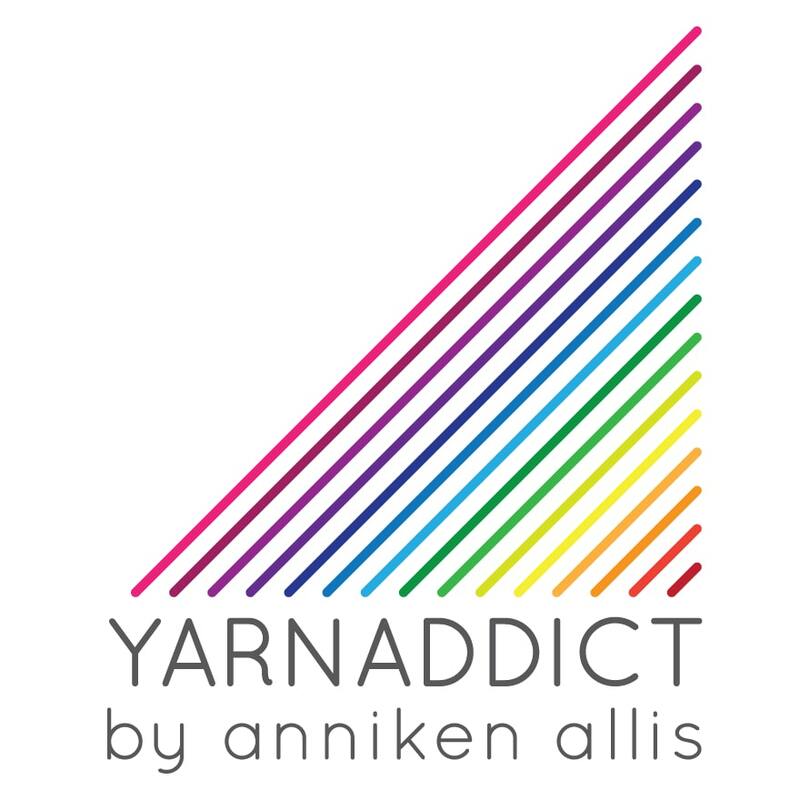 If you have a question about a pattern or any other query, please e-mail me on yarnaddictcs@gmail.com. I'm not able to answer patterns questions via blog comments. You may also find my tutorials helpful. The Tulips shawlette was published in The Knitter last summer. The sample was knitted in a gorgeous merino/silk blend from Artisan Yarns. It's the same blend as my Supreme Sock and the colour is gorgeous. The pattern is now available to you all. This is a small sock yarn shawlette and takes just one skein of sock yarn (400m). If you've not bought your Mum a Mothers Day present yet (it's Mothers Day in the UK on Sunday), then why not buy the pattern and give her an IOU and knit her one. I'm sure she won't mind waiting. Of if your Mum is a knitter, why not gift her the pattern so she can knit her own shawl. Thank you to my lovely model, Sarah who did a great job modelling for me. We did have a problem with the sunshine on the day we did the photos shoot. The photos were taken on the epic photoshoot on a very cold but very sunny January morning. Thank you also to Bronagh who did the tech editing for the pattern. The pattern will be available for wholesale to yarn shops very soon too. I'll be ordering another batch of patterns last week. I had some more good news this week, I finally got a date for my gall bladder operation. I've been waiting for the op since October but I was first diagnosed in July so it's been a long time. My gall stones have been behaving themselves lately, I've been careful and stuck to a very low fat diet but this morning it was bad, not painful but I just had a bad tummy so I obviously ate something my gall stones didn't like yesterday. The op is on 28 March which is a week before we go on holiday so it's perfect timing. I was praying for a date that week as it meant I didn't have to cancel our holiday or any workshops. Do you like knitting socks? Would you like to learn how to design your own socks? if you have some basic knowledge of sock knitting (either top down or toe up) then you may be interested in my workshop at Spin A Yarn on Tuesday. There is still a few spaces left. You'll learn everything you need to know to design your own socks and you'll get a chance to start your own design during class. Contact Spin A Yarn to book. If you haven't entered the prize draw for a copy of Jean Moss' Sweet Shawlettes yet then do enter on the post below. The prize draw closes Sunday night. I'll announce the winner on Monday. Have a wonderful weekend. I'll be doing a lot of knitting (deadline) and I'm hoping to fit in some spinning and machine knitting too. Beautiful shawlette - love the color too...good luck on your surgery and put me in the hat for the book drawing. This is a beautiful shawl! I can see my mom in one made in a gorgeous blue. Please enter me in the drawing. Lovely shawl. All the best for your surgery. Love the shawl pattern and color of yarn is great too.can see myself doing one. Will be thinking of you take care.